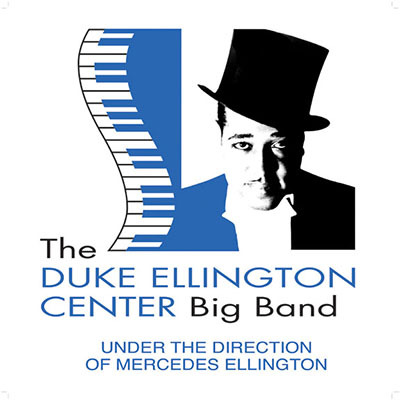 THE DUKE ELLIGTON CENTER BIG BAND | Love Productions Inc. The Duke Ellington Center Big Band, under the direction of Mercedes Ellington, was formed as the “house band” of The Duke Ellington Center for the Arts. The Duke Ellington Center Big Band brings the music of Duke Ellington to new generations of music lovers, both keeping the Ellington traditions alive, while finding new ways to innovate (such as giving it a Latin twist, or combining musical pieces, such as “Scheherazade” with “Caravan”) and keep the music relevant for modern audiences. The original Duke Ellington Orchestra took many forms from its inception in the early 1920s to Duke’s death in 1974. Personnel ranged from 6 to 18 musicians, and offshoots of trios, quartets, quintets and sextets often played and recorded. The band played for dancing, gave concerts, and featured singers and dancers during its extraordinary, long, 50-year history. The Duke Ellington Center Big Band likewise offers the range and versatility of the Duke Ellington bands it is modeled on. The band is led by Duke’s granddaughter, Mercedes Ellington, with Music Direction by such luminaries as Frank Owens, J. Leonard Oxley, Eli Yamin, Eugene Gwowdz and Victor Goines.